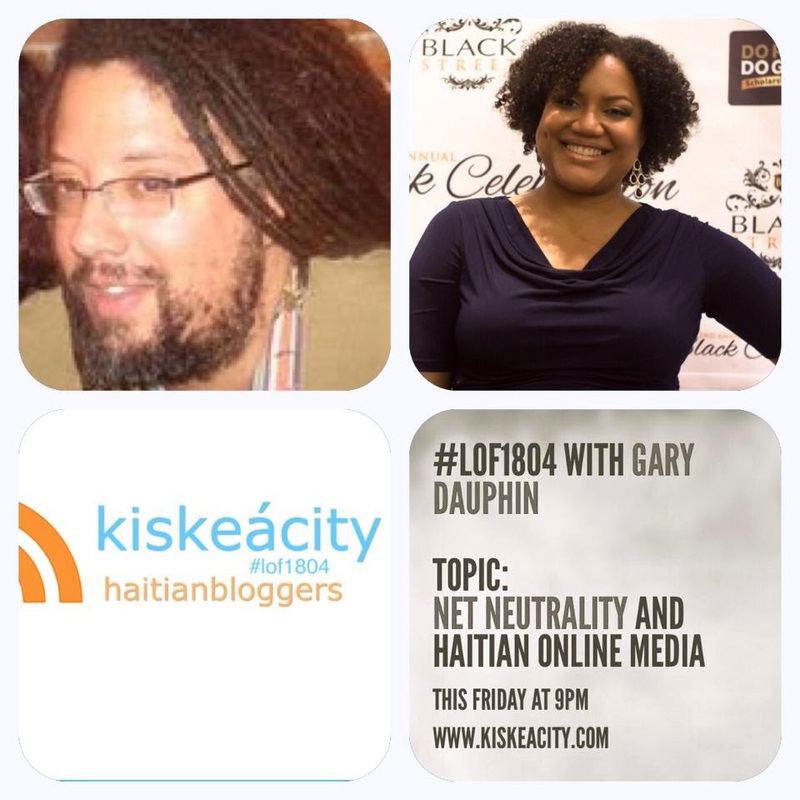 Join me this Friday at 9PM as Gary Dauphin and I discuss the potential negative impact of recent net neutrality rulings on the vibrant web of Haitian online media from blogs to radio. See the story: http://www.npr.org/templates/story/story.php?storyId=312794429. The main concern is that a proposed FCC rule will give media giants priority "pay to play" faster speed access to users. Gary Dauphin is a Los Angeles-based digital media manager and writer. He is currently Editor-in-Chief of annenberg.usc.edu, at USC's Annenberg School for Communications and Journalism. Gary's writing has appeared in Bidoun, Essence, Interview, Lacanian Ink, The Root.com, Vibe magazine, the Village Voice, and other print and online publications. He has also held a number of senior positions at leading African American-market websites, including founding Director and Editor-in-Chief of AOL Black Voices, Editor-in-Chief of Africana.com and Editor-in-Chief and Site Manager of BlackPlanet.com. He also worked extensively in public radio and television, and was Vice President, Digital at KCETLink, the nation's largest independent public television station. He also maintains a consulting practice where he assists organizations with technical and strategic issues around online community, ethnicity, and editorial programming. Gary was born and raised in New York City to Haitian parents, and studied film theory at Yale University. You can always find him on Twitter. Listen live at http://www.blogtalkradio.com/blackwholeradio/2014/05/31/legacy-of-1804-with-gary-dauphin-lof1804 or on the phone at (323) 927-2913. Join Black Agenda Report contributor Pascal Robert and me this Friday at 9PM as we discuss news stories of relevance to Haitians. This week we focus on the latest WSJ article on the Clintons and Haiti, Boko Haram and colonialism in Nigeria, mortgage fraud allegations agaisnt North Miami Mayor Lucie Tondreau and more. I also remind you of hot events this Memorial Day Weekend weekend by Haiti Cultural Exchange and La Caye. Listen live at http://www.blogtalkradio.com/blackwholeradio/2014/05/24/legacy-of-1804-haiti-news-and-blog-review or on the phone at (323) 927-2913. This Friday at 9PM, I welcome Gelan Lambert, a Haitian-American dancer and cast member of Fela on Broadway who is planning a middle passage-themed dance concert to debut at the end of the year. But first you will have an opportunity to see him during Selebrasyon!, a six week festival of Haitian culture taking place in NYC from May 18th to June 30. We will also discuss Haitian Flag Day activities including Selebrasyon! opening night and Haitian Flag Day kickoff. 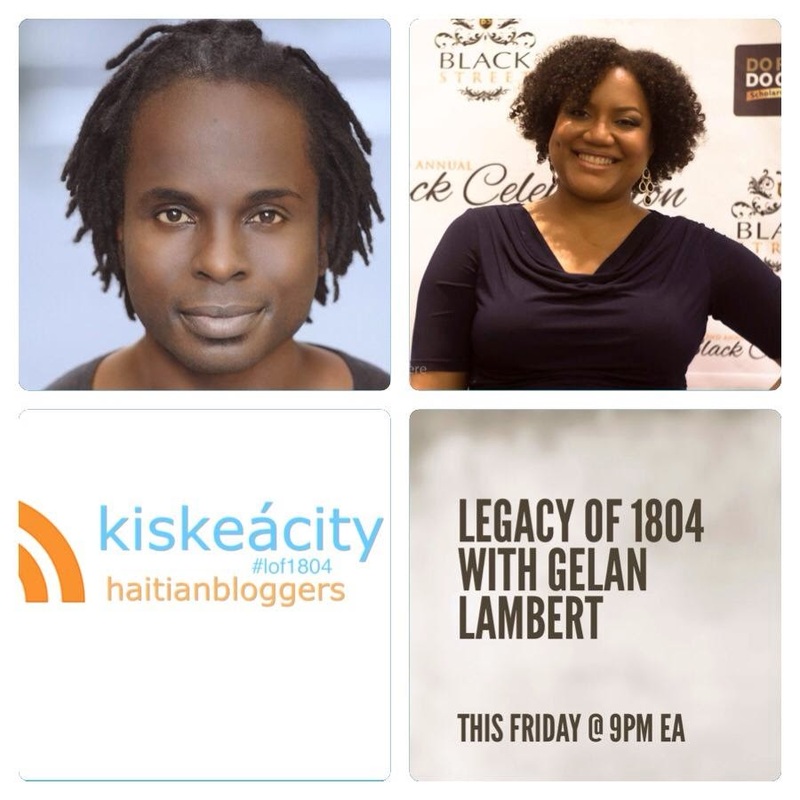 Listen live at http://www.blogtalkradio.com/blackwholeradio/2014/05/17/legacy-of-1804-with-gelan-lambert-haitian-flag-day-and-selebrasyon or on the phone at (323) 927-2913. Join me TONIGHT at 9PM EA as I review recent news and blogs about Haiti and Haitians. Haitian video blogger Hugues Girard will join us with the latest on Ile-a-Vache. Listen live at http://www.blogtalkradio.com/blackwholeradio/2014/05/10/legacy-of-1804-32-on-ile-a-vache-teachers-crisis-in-the-usa-lof1804 or on the phone at (323) 927-2913. 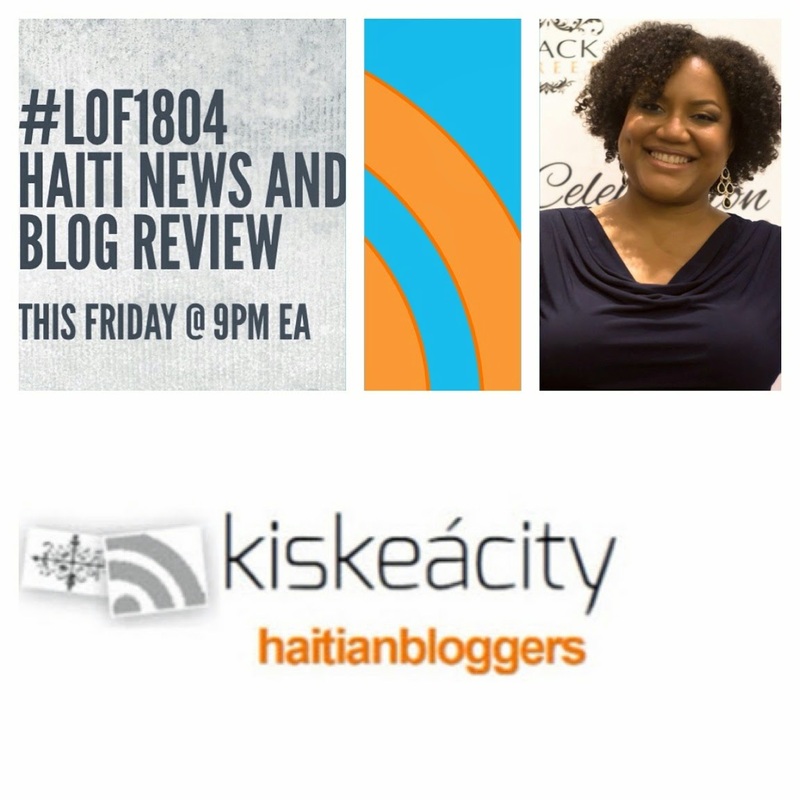 Listen live at http://www.blogtalkradio.com/blackwholeradio/2014/05/03/legacy-of-1804-31-haiti-news-and-blog-review-lof1804 or on the phone at (323) 927-2913.